The 2015 Jones Cup continue last night in Taipei, and the highlight, of course, was the main event between Taiwan Blue and Gilas Pilipinas. 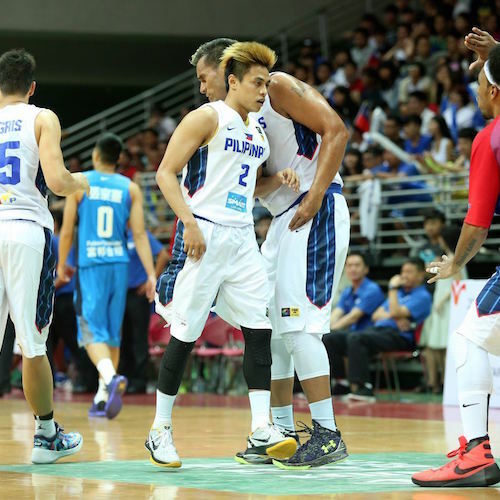 Gilas newbies Terrence Romeo and Calvin Abueva stole the show and wowed the crowd with their helter-skelter play. It was an awesome way to start Gilas’s campaign in this annual event. Terrence Romeo was the toast of the night in the Jones Cup. Aleksei Fedorchuk scored a team-high 18 points Russia pulled off an 86-84 win over South Korea. 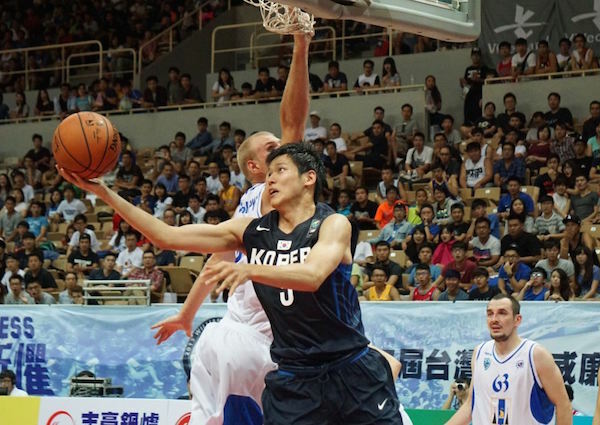 He was one of five Russian cagers to break the double digit barrier, while Kim Jong-Kyu and Moon Tae-Young scored 11 points each for Korea. Overall, South Korea knocked down 56 percent of its shots from two-point range but was 4-of-24 overall from distance. Russia was a far more respectable 10-of-23, including three makes from Fedorchuk and Aleksei Goliakhov. Fedorchuk had a sterling contest, finishing with 11 rebounds and three assists to go along with his 18 points. Andrey Ivanov (14 points), Ivan Savelev (13 points), Goliakhov (12 points) and Alimdzhan Fediushin (11 points) were each in double figures for the Russians. Kim Sun-Hyung goes reverse aginst the Russian defense. Two days, two emphatic victories for Iran. Sajjad Mashayekhi scored a game-high 20 points, while Mohammad Hassanzadeh and Hamed Afagh added 16 apiece in the 88-66 blowout of Chinese Taipei’s Team B. Iran has won its two games thus far in the William Jones Cup by 53 points, spearheaded by a brilliant defensive effort. Iranian opponents have scored 112 points, which is 37 fewer than any other team has allowed (minimum two games). 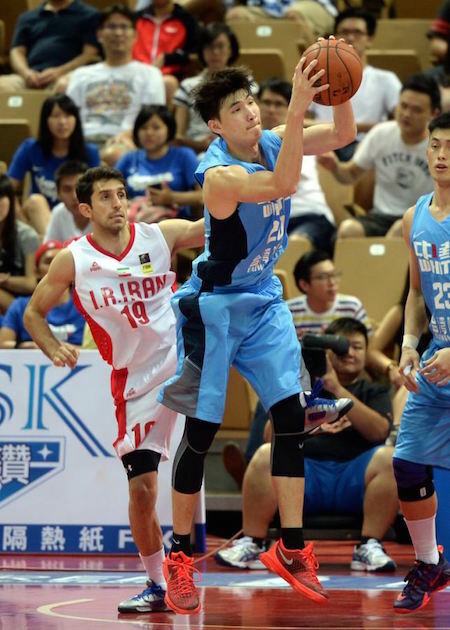 Taiwan White, which fell to 0-2, was led by Zhou Boxun and Chien Wei-Ju, who scored 13 points each. Zhou Boxun gets the rebound against Iran. Former PBA import Marquin Chandler scored 26 points and five USA players were in double-figures in Sunday's 91-76 victory over Japan. Chandler added 8 rebounds and 4 assists, while Calvin Warner (18 points, 14 rebounds) and Derek Hall (10 points, 10 rebounds) added double-doubles for the U.S. Anthony McDonald, meanwhile, hit 5 treys en route to 17 points. On the other end, KJ Matsui led the way for Japan with 20 points, hitting a game-high 6 three pointers. Daiki Tanaka added 18 points, as only two Japanese players were in double-figures. Eleven players for Japan wound up with points, but its offense was consistently unsuccessful, shooting well below 40 percent and stalling out at various points. No Andray Blatche, no problem for the Philippines. Terrence Romeo, Jayson Castro, and Calvin Abueva each scored in double-figures as the Philippines sent the home team down with a 77-69 result. Romeo led the way with 18 points and added four steals. Castro scored 16 markers, but he struggled mightily from three-point range (1/8 3pt shooting). Still, he had a well-rounded effort with four rebounds, four assists and four steals. Abueva was the only Philippine player who made at least half of his three-pointers on his way to 15 points. Dominant for most of the game, the Philippines nearly blew the game in an ugly third-quarter effort. Gilas managed only seven points in that period, allowing Chinese Taipei to come back from a 16-point halftime deficit to tie the game. Chen Shih-Nian and Quincy Davis each scored a team-high 12 points for the home team, while Tseng Wen-Ting and Tien Lei were also in double-figures with 11 points. 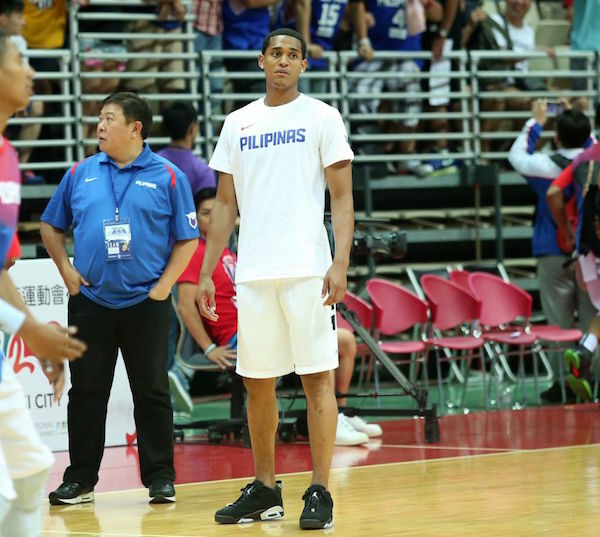 Jordan Clarkson attracted a lot of attention as Gilas's #1 fan. 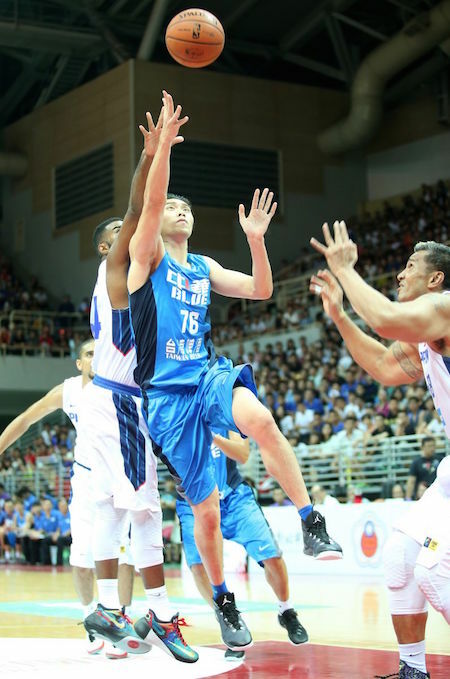 Tseng Wen-Ting tries to drive strong against the Gilas D.